The apple doesn't fall far from the trailer. Billy Ray and a young Miley. 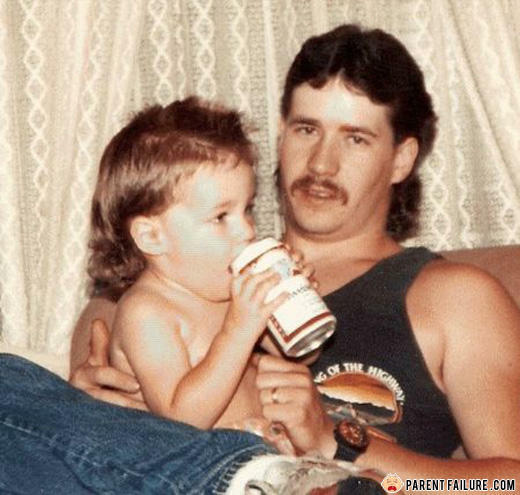 What's worse letting the kid drink the beer or making it wear a mullet?! ?